A 2006 Mitsubishi Lancer Evo IX sold for $137,954 on eBay Motors on July 25th, 2017. The Lancer Evo IX had never been registered or driven on a road, and only had nine miles on the odometer. For 11 years, the vehicle sat in a warehouse gaining value for South Coast Mitsubishi of Costa Mesa, California. The dealer put it up for auction and 80 bidders raised the price to $100,954 beyond the original $37,000 MSRP. Across the ocean, the used car auctions in Japan offer the world’s largest selection of JDM vehicles, yet experience little domestic competition. High supply with little demand means lower prices to the consumer. 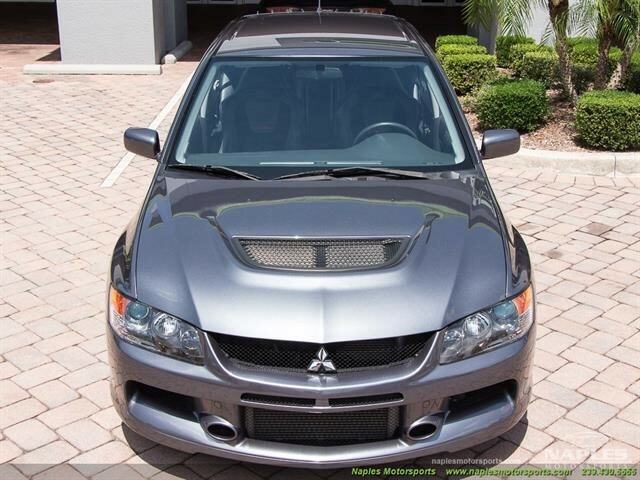 The Graphite Grey 2006 Lancer Evo IX MR was in perfect condition with factory wrapping still on the seats. As an MR edition, it included extras like a 6-speed manual transmission, “Zero Lift” aero package, BBS wheels and Bilstein dampers. It also offers all-wheel drive and a 286 bhp engine that delivers 0 to 62 mph acceleration in just 4.4 seconds. The 9th generation Evo was the last of the small, light Evos and many consider it the best generation ever. However, all Evos are renowned for their incredible power and handling and they are becoming more collectible since Mitsubishi stopped production of Lancer Evo in 2016. 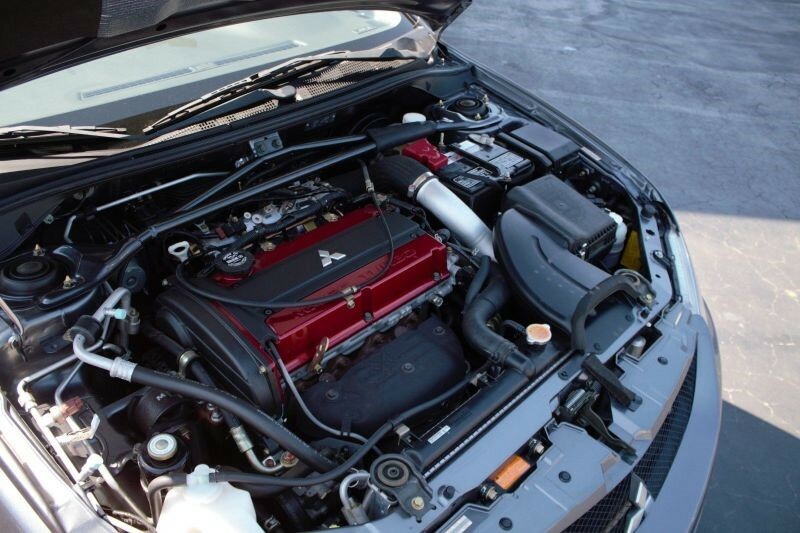 Mitsubishi Lancer Evos are among the most popular sports cars in history because they put some supercars to shame at family sedan prices, and many in Japan were driven just for that purpose. Their independent suspension, highly rigid chassis and three-differential AWD keep the tires glued to the road in nearly all driving conditions, and their high-horsepower 2.0-liter turbocharged 4-cylinder inline engines delivers exhilarating acceleration. Raw, rally-bred excitement with a rip-roaring 300 hp, which is a lot for a small unmodified sports sedan. This bare-bones RS version is stripped of superfluous features to reduce weight, boost acceleration and sharpen handling reflexes. An attractive sub-five-second 0-60 mph sports car that combines the reliability and everyday practicality of a station wagon with handling that lets you carve through hard corners with rail-like precision. Launched in 2000 to commemorate Makinen’s four consecutive World Rally Championship titles, combined style and power. 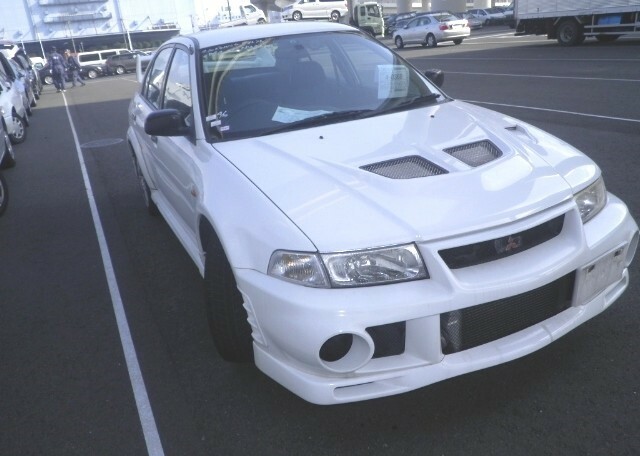 The TomiMaki, as it’s known in Japan, featured rally car decals, embossed Recaro seats, distinctive white Enkei wheels while propelling it from 0-60 in just 4.5 seconds with its 276HP powerplant. Its top speed is 150mph.